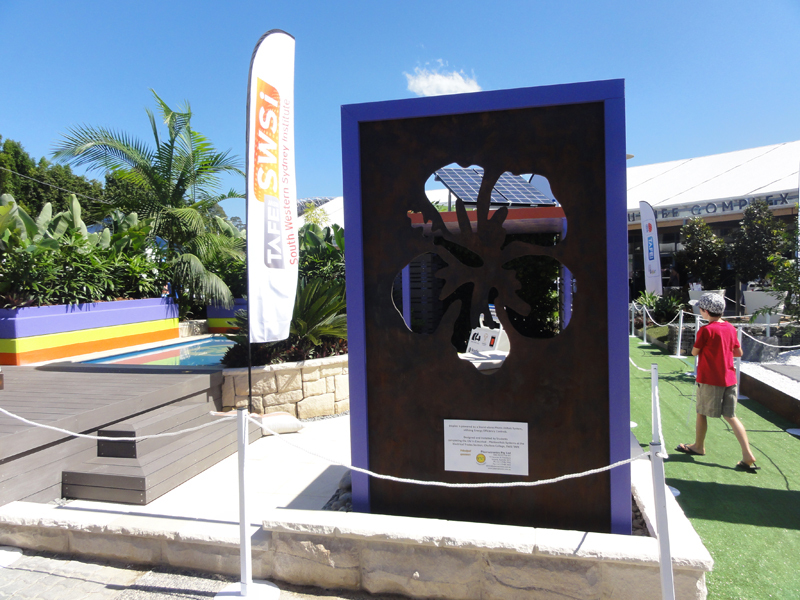 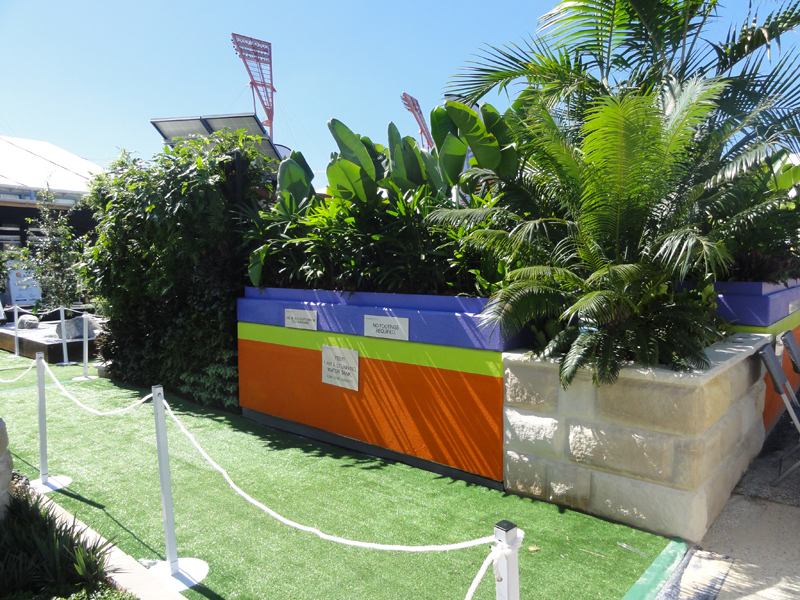 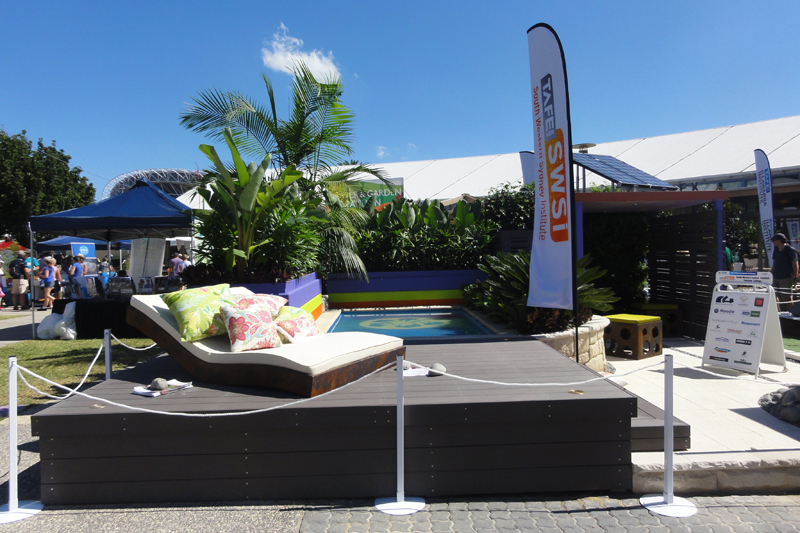 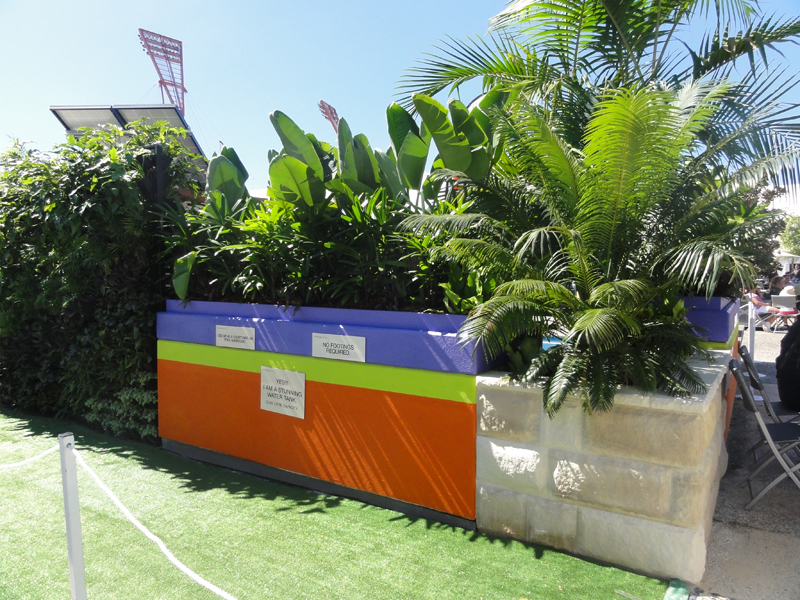 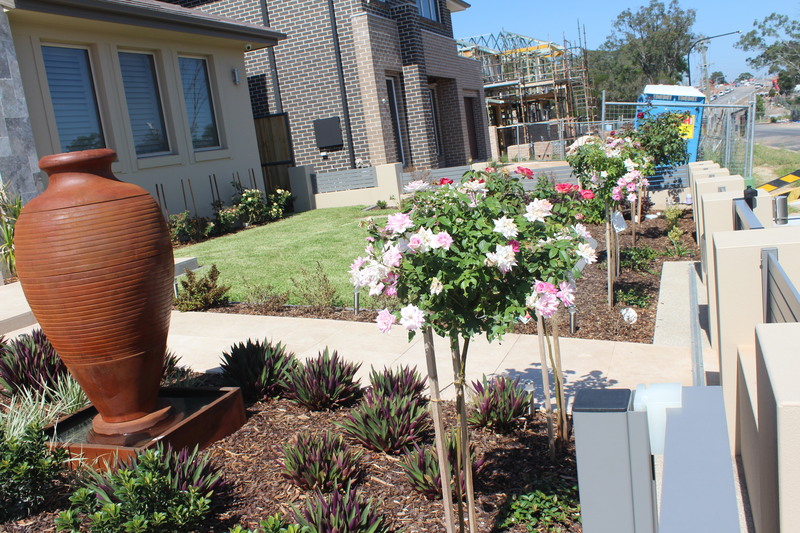 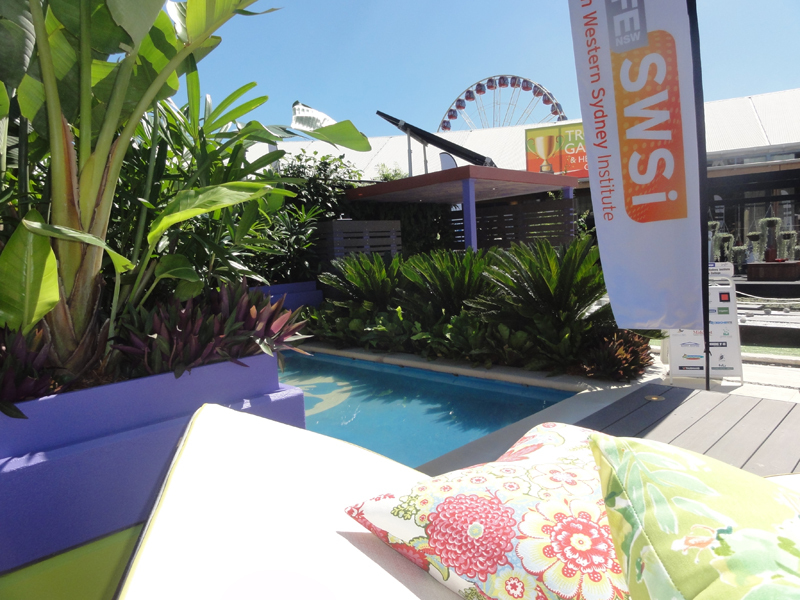 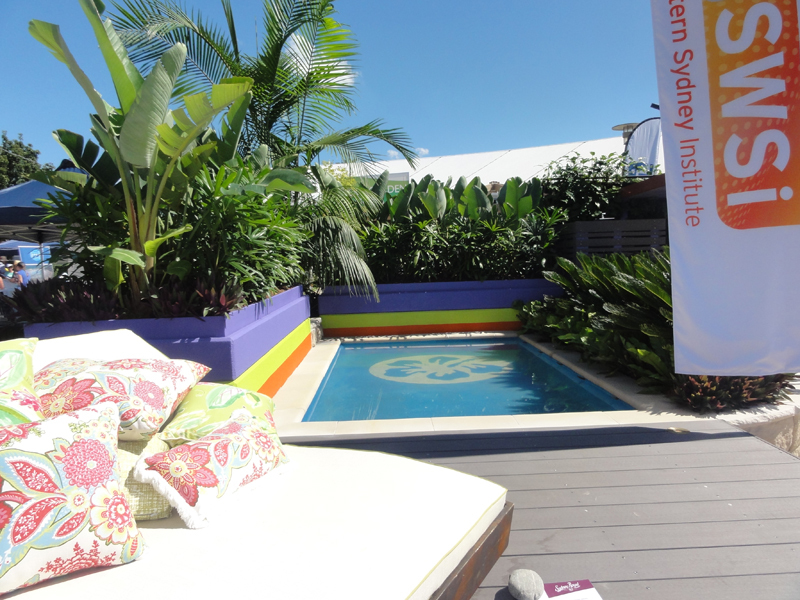 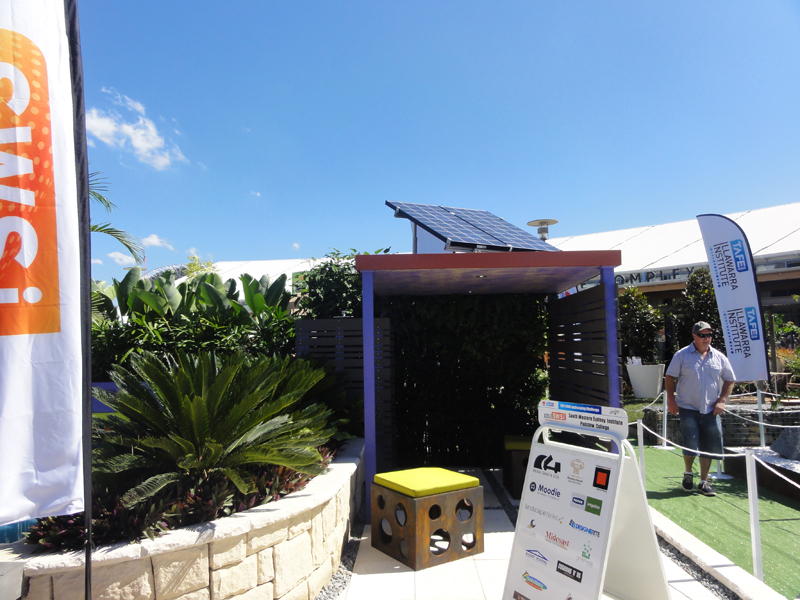 2013 TAFE NSW Landscaping Challenge at the Royal Easter Show – Australian Backyards Display. 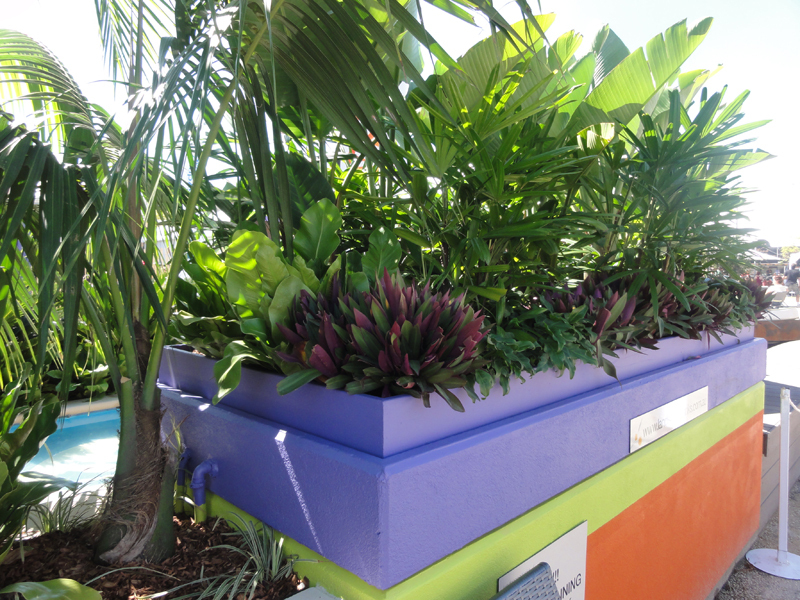 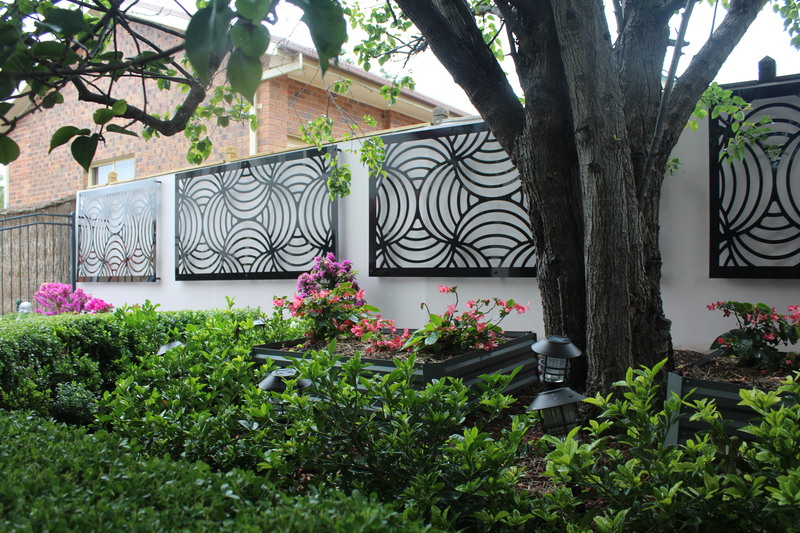 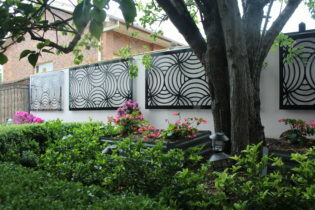 As Ryde College didn’t have a Design Class, Michelle was asked to help Ryde Teachers and construction students, draft on CAD their design for the entry and put together a planting plan and colour selection for materials. 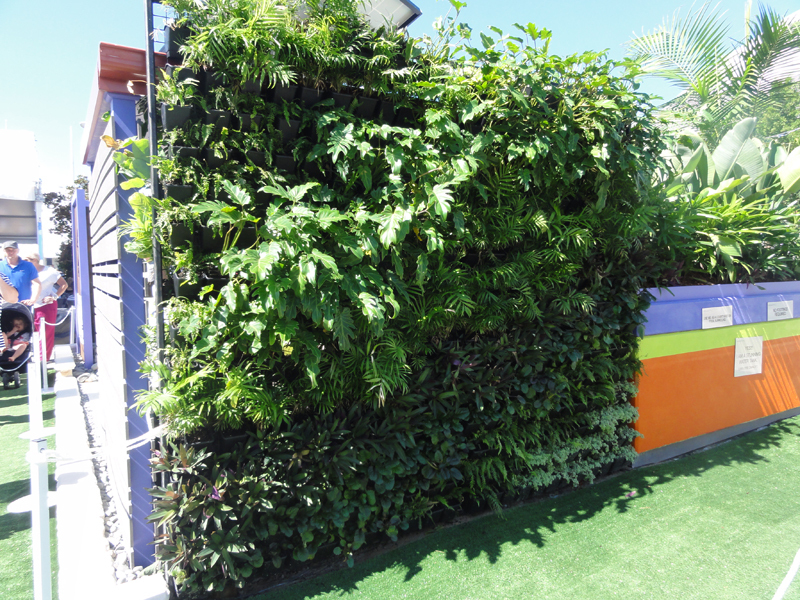 It was encouraged to use eco wise features and sustainable products where possible. 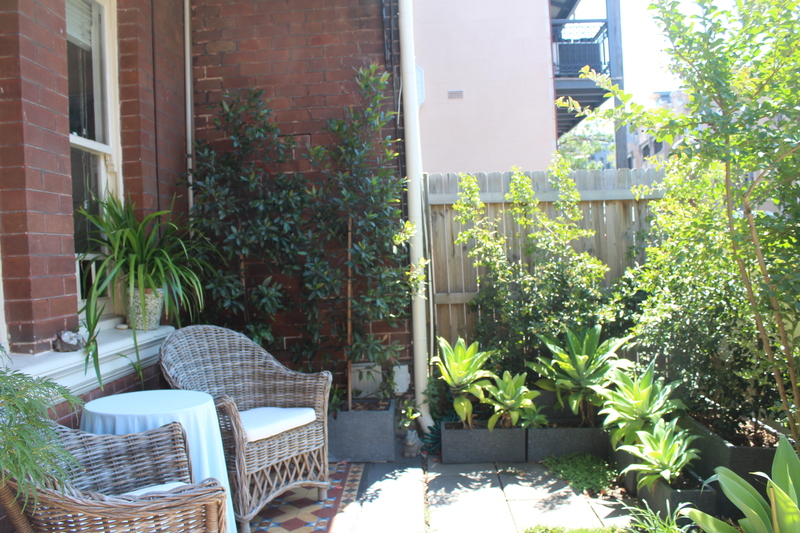 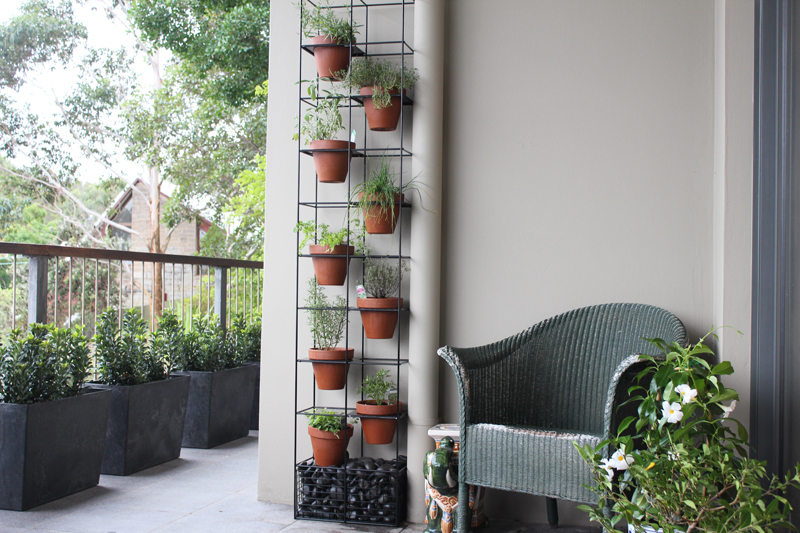 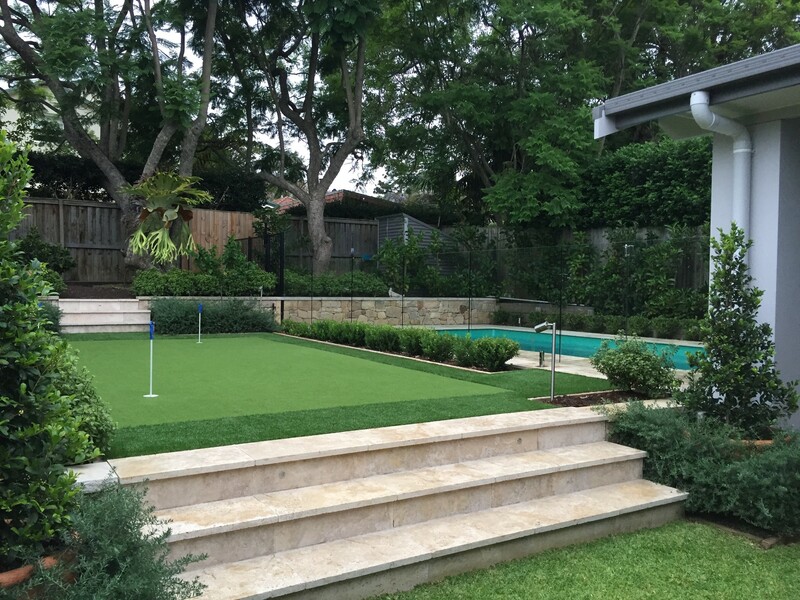 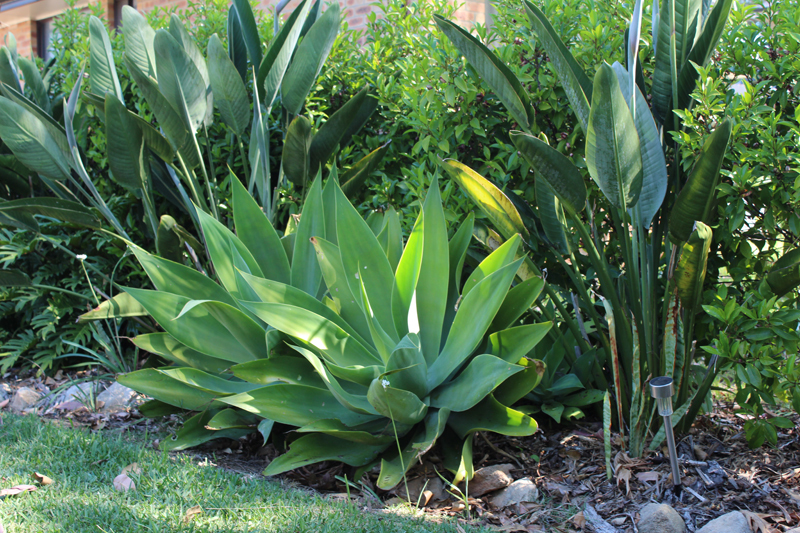 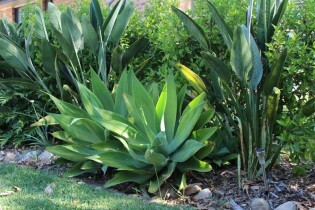 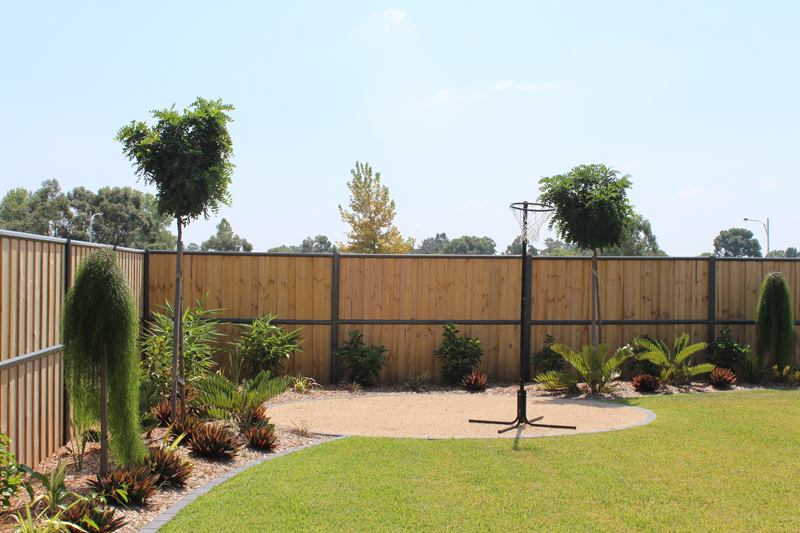 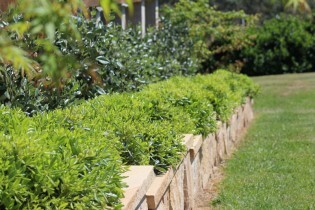 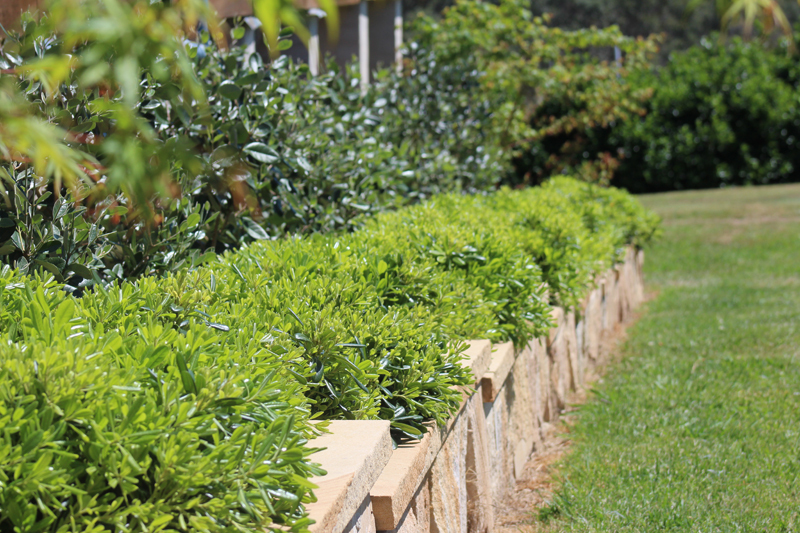 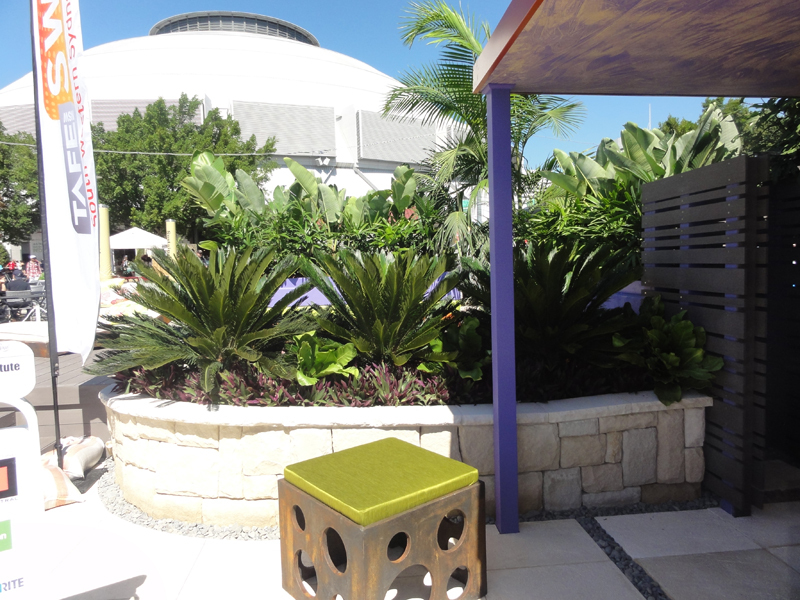 The planting plan was based on a warmer climate backyard and gave it a tropical feel with lush foliage plants with texture and vibrant colours. 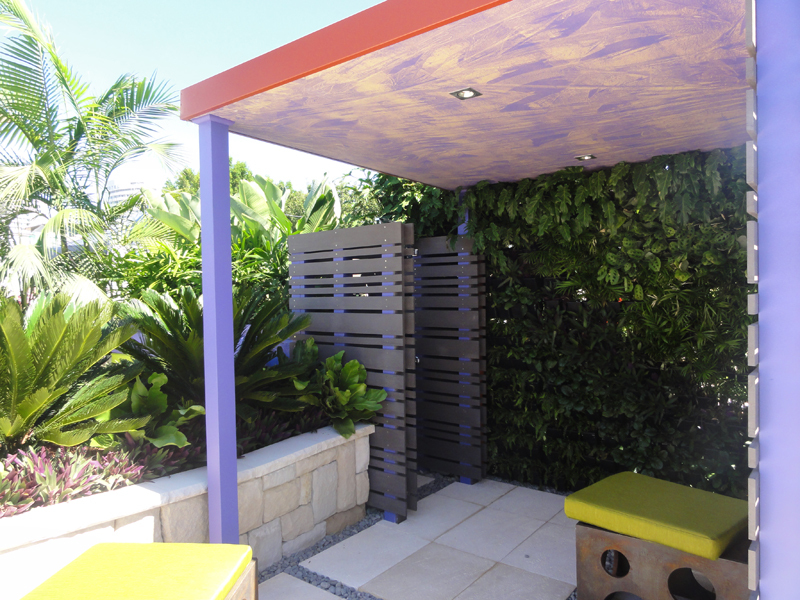 With each site only allocated 7m x 7m, the design had to be clever to incorporate a pool, shower, water feature, raised garden beds, clothes line, shelter and a place to relax by the pool, all with consideration of eco-friendly outcomes. 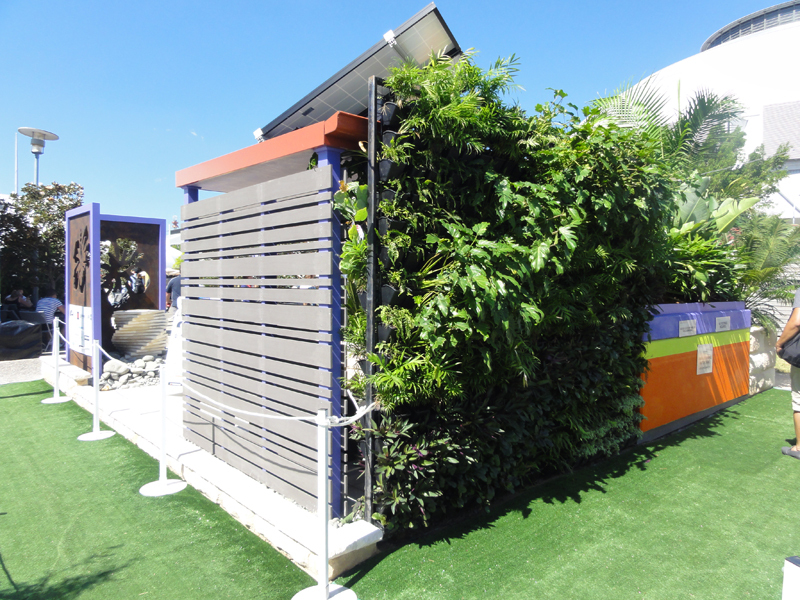 To ensure sustainability was covered, solar panels were used, recycling water tanks cleverly made as large planter boxes and recycled wood products were also sourced.